The investment team of eKapija has performed the analysis and formed the list of investments and investment ideas which caused the greatest interest among our users in 2016. The results are very interesting, some of them expected, though there are lots of surprises as well, which is why we've decided to share the information with you. We present the most interesting projects in the REAL ESTATE (residential and office space) category. The strongest impression made from glancing at the list is that they year 2016 was marked by Belgrade projects. Even though the fact that there were construction activities in the capital of Serbia is good, there's no doubt that it would be better for this field to be developed more evenly and for there to be big announcements from all parts of the country. We hope that the year 2017 will brings us more good and interesting stories from all over Serbia, as the 2016 top 22 list contains only four projects from outside of Belgrade. Even though this retrospective doesn't deal with it, we can't help noticing that Belgrade is constantly growing upwards, and there are announcement that this trend will continue in the future. However, although skyscrapers look good, if they are not accompanied by an adequate traffic regulation, wider streets and more vehicle lanes (which hasn't been the trend so far), we are looking at bigger and bigger traffic jams. A warning example thereof is Vozdovac, whose number of residents increased with the construction of the Stepa Stepanovic settlement, whereas the traffic route capacities remained the same. We hope that new residents of skyscrapers in Belgrade will not have trouble accessing their buildings. And now here's the list! In second place is Airport City, which is making ambitious announcements. 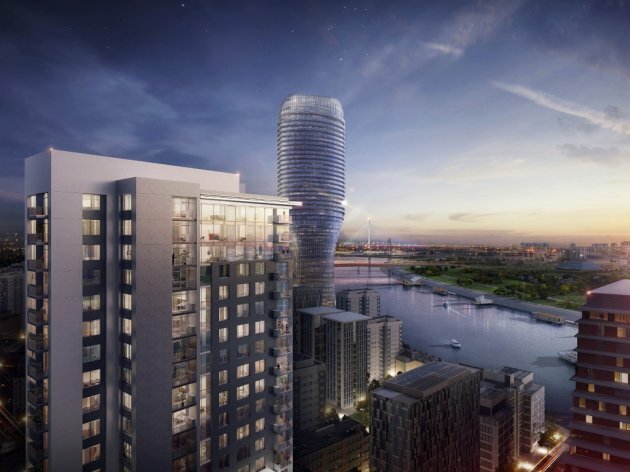 The Israeli investors reported at the end of 2016 that they plan to raise two identical 80,000 m2 towers, which should become the business park's and New Belgrade's symbol. The business park should expand to a total of 230,000 m2. The residential-office complex Central Garden placed fourth. This extraordinary city block, which will join residential and business activities, is to have eight residential buildings within a condominium with a private park, as well as a modern business tower – a new business symbol in the center of Belgrade. Central Garden should be fully completed by the end of 2018! The investors are AFI Europe and Shikun & Binui Group, whereas the consulting company CBRE Serbia is the exclusive apartment sale representative.
. PMC Inzenjering placed fifth with its residential-office complex in Block 32, on the parcel bordering Zorana Djinjica Blvd and Nova 1 Street. 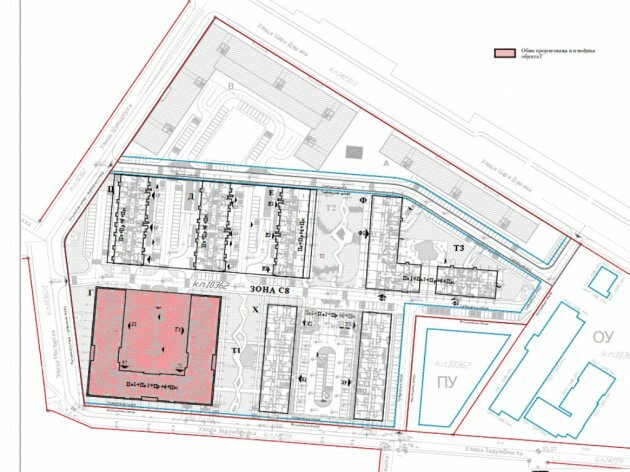 The complex in question has a gross building area of around 36,700 m2, with a large underground garage. At the very end of 2016, Mayor of Belgrade Sinisa Mali announced the solution for the BIGZ building, which placed sixth on our list. Mali sad that the Soravia Group had sent a letter of intent, and the complete transaction should be finalized by the end of the first quarter of 2017. According to the mayor's announcements, BIGZ should become a multifunctional center for exhibits and cultural events. Together with the Radisson Blu hotel, Belgrade Waterfront and the former Federal Ministry of Interior building, it should give this part of the capital of Serbia a whole new look. More on this project on eKapija soon! The first project from outside of Belgrade placed only ninth. The renowned company Galens Invest is building an exclusive residential-office complex in Narodnih Heroja Street in Novi Sad, where the first residents should move in at the end of 2018. 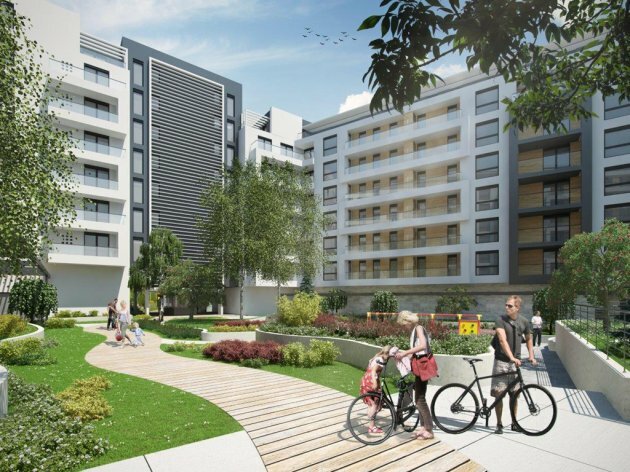 The company Montex MK-DK-Invest is preparing a Green Avenue next to the river, a residential-office complex connecting “two worlds” – the charming Zemun and the modern business core of New Belgrade. Following the completion of the construction and the sale of unit 1, the construction continued. As we learn at the Green Avenue, there are available apartments in the remaining units, and the price is EUR 1,750 per square meter (VAT included), whereas the lofts are slightly cheaper at EUR 1,690 (VAT included). The deadline for moving in is March 2018. The Green Avenue placed tenth on eKapija's list. A large number of apartments have already been sold in the luxury Xenon smart building (which placed 11th) on the corner of Vojislava Ilica and Stanislava Sremcevica Streets in Belgrade, where the price of a square meter ranges from EUR 2,500 up. Future residents can manage nearly all devices in the apartments with their cellphones, and it's interesting to note that a meteorological station has been placed on the roof of the building. The facility has a specific system of heating and cooling through floors and walls. The twelfth spot belongs to Aleksandar Gradnja and its project in Juzni Blvd in Vracar. Next on the list is the settlement in the location of the former Aleksa Dundic barracks in Zemun, which has finally gotten an outline and the name – Zemunske Kapije. 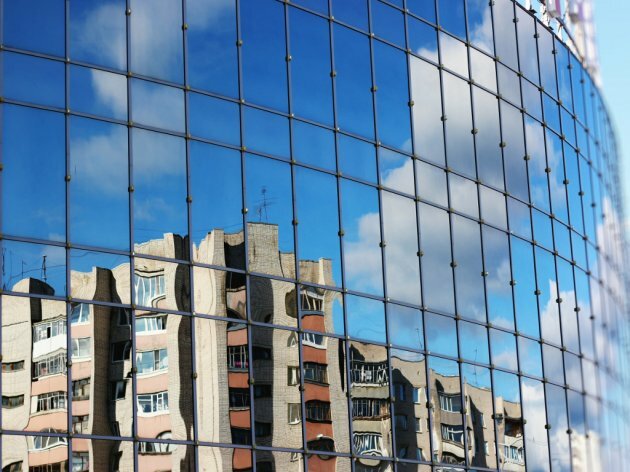 The Building Directorate of Serbia is looking for the contractors, and the settlement should have around 1,700 apartments, along with coffee shops, stores and restaurants in the central square. The complex, which placed 13th, will spread on around 6 hectares in the block formed by Cara Dusana, Zaduzbinska and Sumadijska Streets. The fourteenth spot belongs to the energy efficient settlement on the slopes of Fruska Gora – the Solar Valley complex. Its residents (in addition to being able to save a lot of money) will be able to cultivate biogardens, enjoy their green roofs, as well as additional features, combining a modern lifestyle with the advantages of an out-of-city location. Energoprojekt's “return to Visnjica”, i.e. the residential-office complex Sunnyville with 235 apartments and 12 outlets, placed 15th, and it is followed by the story of the Novi Nis project (16th spot), the settlement on the location of the Bubanjski Heroji barracks. The foundation stone was laid down this summer, and the first residents are expected to move in in 2018. Block 43, New Belgrade's new business zone, is in the 17th position. Two large investors are located there. 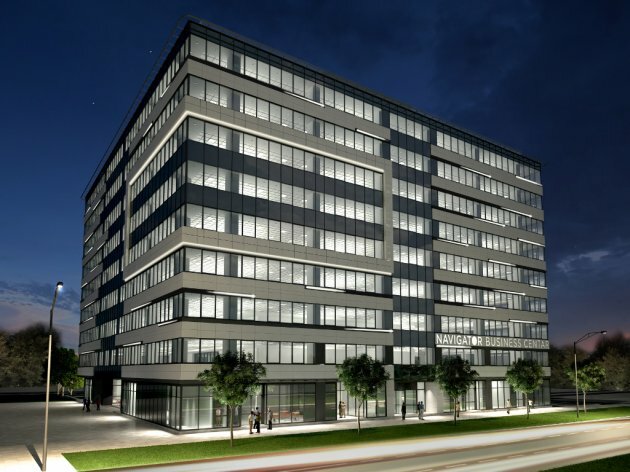 The construction of the office building Navigator Business Center by the investor MPC Properties has been completed and the first tenants have moved in. On the other end of the street, the construction of the Sirius center by the investor Erste Group Immorent Serbia is well on its way. Next on the list is another “business island” in New Belgrade – the office building in the A Block complex (of around 39,000 m2) in the 18th spot. As they say in Deka Inzenjering, the customers will be provided with the best working conditions, thanks to “green building and additional features”. Another investment by MPC Properties intrigued our readers as well – the twin tower of the former CK at Usce. It was announced that the construction of the facility (about which eKapija first wrote almost ten years ago) should be initiated in 2017. The “twin” tower placed 19th. The list is rounded up by ideas from Blocks 25 and 26 (new planning documentation for the area which has been discussed for almost a decade envisions towers and a settlement) – 20th place, as well as two investments from Vojvodina – Most II settlement in Ruma (21st spot) and the luxurious Parkville in Temerin (22nd spot). Take a look at the complete list of investments in REAL ESTATE (residential and office space) and compare it to your thoughts, estimates and projections. Also, have you seen the list of projects which you've found the most interesting in the INDUSTRY category?